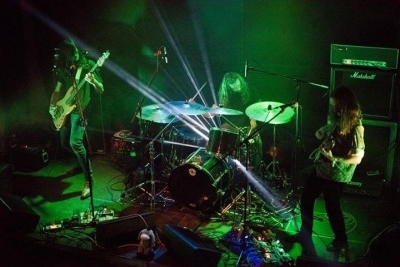 A trio formed in 2014, including members of other bands such as Maya and DuoDoom, Basel-based Echolot are a heavy jamming psychedelic outfit with Post-Rock elements. Music is in the vein of bands like L'Ira Del Baccano, but generally with a slower and more stately feel to it. 'Echolot' is German for Sonar.